We don’t claim to have been to every beautiful city in the world but have done our fair share of traveling across 75 countries and six continents. Out of all the cities we have traveled, here are the absolute most amazing we have seen. We haven’t been to all of the world’s most beautiful cities, but we’ve racked up an impressive list. Chances are you’ll fall in love with any one of the cities on this list if you haven’t already. There aren’t many cities in Europe quite like Innsbruck. It’s coined itself the title “Capital of Alps” and easy to understand why once you set foot in the city. Flanked by the impressive Nordkette mountain range that towers over the city nature never feels far away. It’s the only city where you can ski, explore a grand palace, window shop, and savor a strudel all in one day. 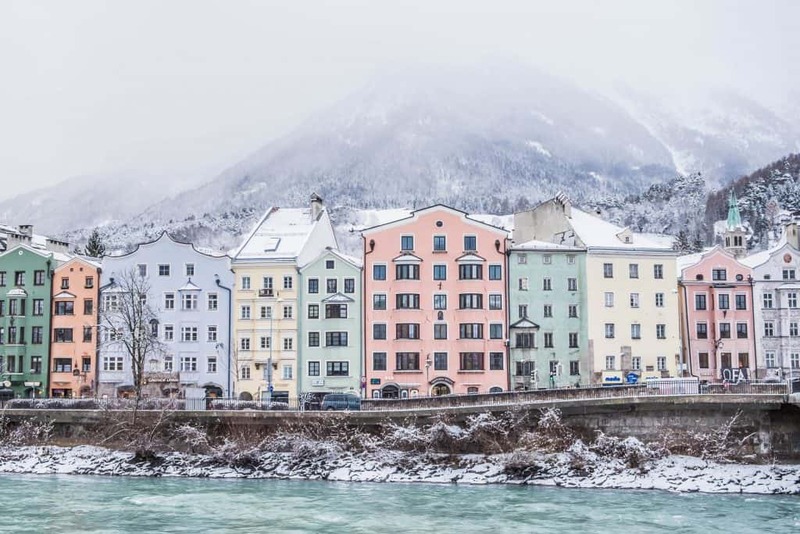 There are plenty of things to do in Innsbruck with the Austrian Alps and a city rich in history. In many ways, it’s everything we love about Austria all packed into a modern city and historical city. Cusco is one of the most interesting cities in South America and it’s because of its unique flavor. The Peruvian city is the longest inhabited city in the Americas and colonial buildings clash with old Incan architecture. In many cases, those colonial buildings sit on the foundations of the former Incan empire. Cusco is both touristy and authentic. You’ll find a woman in traditional dress on her way to the market while another three attempt to ply you away to take a photo with them and their adorable pet llama for a few soles. Mass tourism has yet to ruin the vibe, yet you can easily find good food and a decent cappuccino. All of this takes place in the heart of the Andes and the gateway to Machu Picchu and the Sacred Valley. 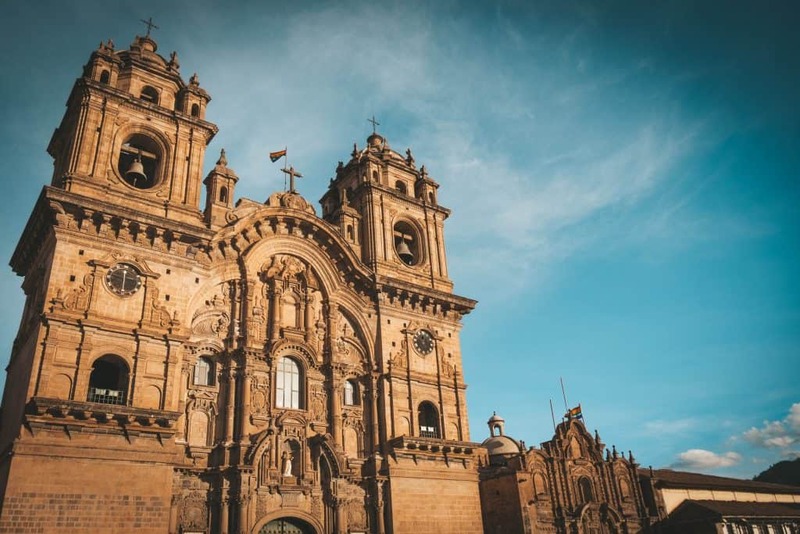 Almost every traveler to Peru makes their way to the city and for good reason, there are so many great things to do in Cusco. After several days of exploring the city in June, we absolutely fell in love and hope to make it back someday. When I traveled to Ecuador three years ago it was an eye-opening experience. I arrived in Quito at night with no knowledge of the city. As a solo backpacker on a tight budget I barely scratched the surface, I knew I would have to return one day with Cameron and explore deeper. In 2018 we found ourselves in the South American city again before we traveled to the Galapagos and fell in love. It was a wonderful Andean adventure and we really got to sink our teeth into Ecuadorian culture. I liked my time in Quito for the first time around, but I absolutely fell in love with it the second time. We spent a few days chatting with local artisans, hopping into historic churches, and trying delicious Ecuadorian food. 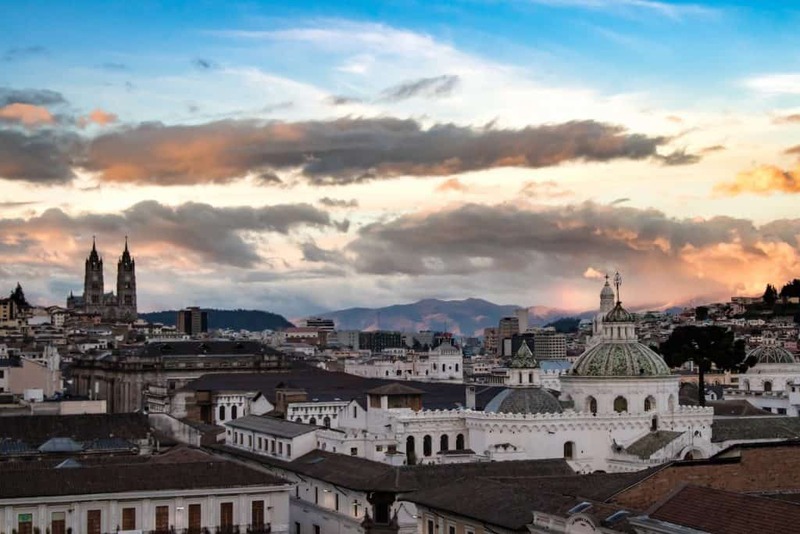 If you’re wondering where to stay in Quito and what to do read on! After coming from a far off island away from the city, we weren’t sure what to expect out of a two-day layover in Singapore. It’s known for being one of the most expensive cities in the world, and definitely not on par with other cities around Asia. Nevertheless, we arrived with open minds and open wallets. The city is nothing short of unique from the rest of the world. Would you like to smoke in public and throw your cigarette on the ground? Too bad – it’s illegal. Want to feed the pigeons? That’s a $500 fine. Also don’t even think about walking around your house naked with the curtains open. You may end up in jail. All these things may sound extreme, but to me, they come together to make a wonderful city. Other than the crazy laws and fines the city is known for its bustling hawker centers, 24-hour coffee shops, intense shopping malls, a well-known nightlife scene, and vibrant public parks. Bali is now the new Thailand and every digital nomad and backpacker has been flocking there the past couple of years. The mission is to find healthy food, trendy cafes, good WiFi, and live a comfortable way of life at a fraction of what it would cost in the West. 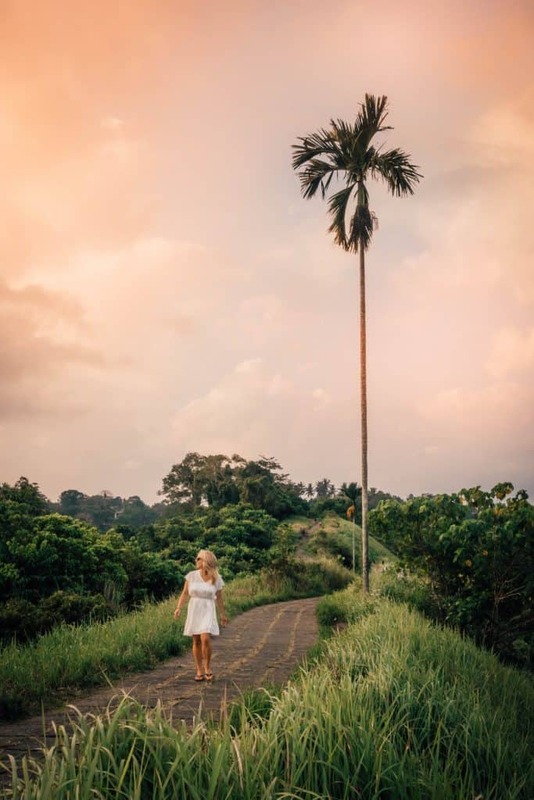 You can find this lifestyle all over Bali, but we particularly fell in love with the mountainous town of Ubud in the middle of the island. Ubud is nestled in the jungle and surrounded by rice terraces. It has long been referred to as the cultural “chill” space of Bali. A place where all can go to practice yoga and relax. The allure of Ubud has caught on with just about every traveler who has seen or read Eat, Pray, Love. Still, the Balinese are among the kindest people you can cross paths with and if you are a vegan animal lover who is addicted to coffee you may never want to leave. 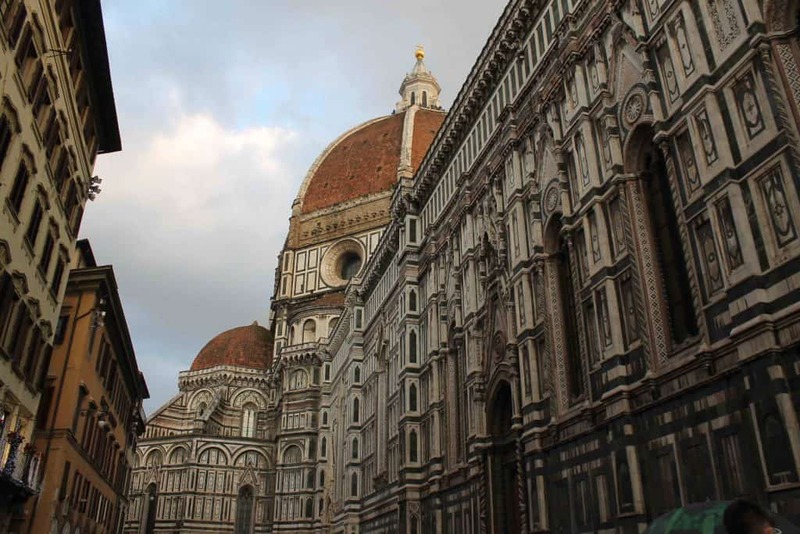 Florence (Firenze) is the capital of Tuscany and a highlight of any tour in Italy. Even if you only have a few weeks in the country, Florence should be at the top of your list. The city is famous for its world-class cuisine, museums, works of art, and the surrounding countryside. The architecture in Florence pulls you in and begs for you to get lost in its historic heart. It’s also a great jumping off point to many other interesting Italian cities like Sienna and Lucca. If you are looking to venture all around Italy I would recommend either going by train or renting a car. However, it’s a country we would not recommend a tour in other than a local hiring a local tour guide for a day. When thinking about the most beautiful cities in the USA, I really wanted to list our home of Wilmington. But unfortunately, it gets beaten out by Charleston just three hours away in South Carolina. I first visited Charleston on a visit to see my best friend who moved there after college with her boyfriend. She has since ditched the boyfriend, but purchased a house in Charleston and doesn’t think she will ever leave. Why? The historic downtown sites between the rivers Ashley and Cooper. Thankfully, the city escaped major damage from the civil war so unlike other towns in the US the buildings here are true treasures. For a large city, there are no tall buildings interrupting the skyline. Instead, you’ll find (a lot) of churches, restaurants, trendy coffee shops, and colorful old homes in this port city. Kotor is a well-preserved former Venetian city inhabited by less than 13,000 people. Once visitors pass through the city walls a labyrinth of marbled streets, old lamps, stones houses, and quiet piazzas await them. The old city is fortified and encompassed by imposing stone walls while the town itself sits at the foot of a gorgeous Adriatic bay with the Dalmatian mountains rising high up above turquoise waters. Some refer to the Bay of Kotor as being the southernmost Fjord in Europe, and with the stunning beauty of the bay, it is easy to see why. It’s a magical destination that feels as if you’ve taken a step back in time. We’ve been twice and it still stands out as one of the most beautiful cities in Europe. 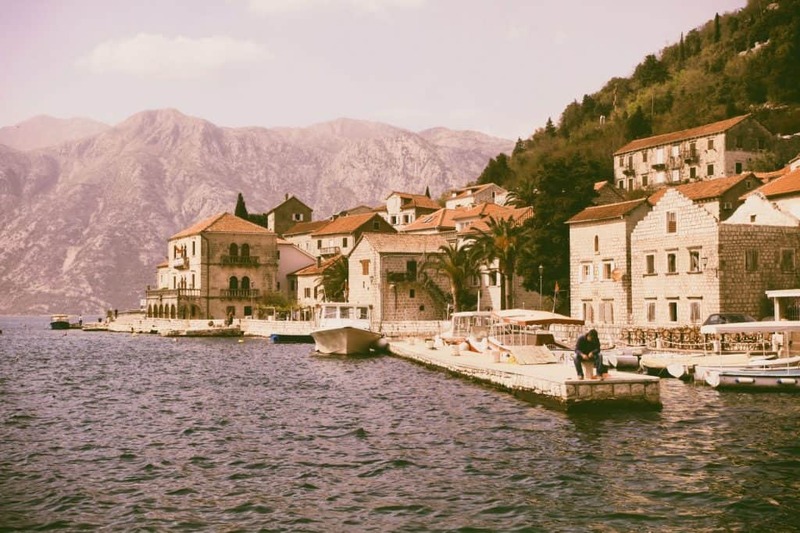 Make sure to make your way down to the harboring village of Perast while there, it’s equally as stunning. If there is one city in the world I am dying to return to, it’s Cape Town. It’s a city too beautiful for its own good. Where one can get easily lost in the depths of nature and still have dinner at any sushi, tapas, or bistro they want at night. There are so many things to do in Cape Town, it’s hard to optimize your time there unless you have a full year. We spent two months there and felt we barely scratched the surface of what the city has to offer. We like to think we hit many of the tourist hot spots, and were still able to delve a little deeper into the city. 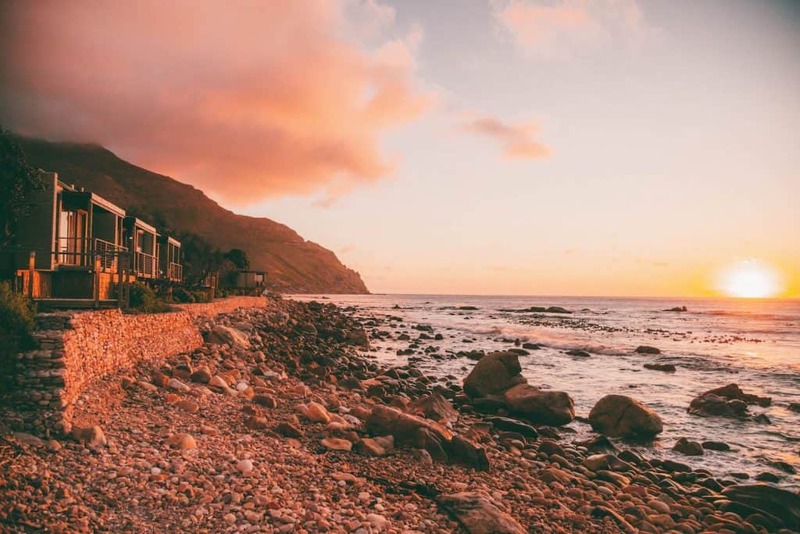 With activities like climbing the iconic table mountain to sipping some delicious Pinotage while overlooking the tip of Africa, Cape Town will enchant you. If you find yourself in the South African city, don’t tell me because I will be jealous, have fun! I went to Japan on backpacking trip five years ago and I can not wait to return. 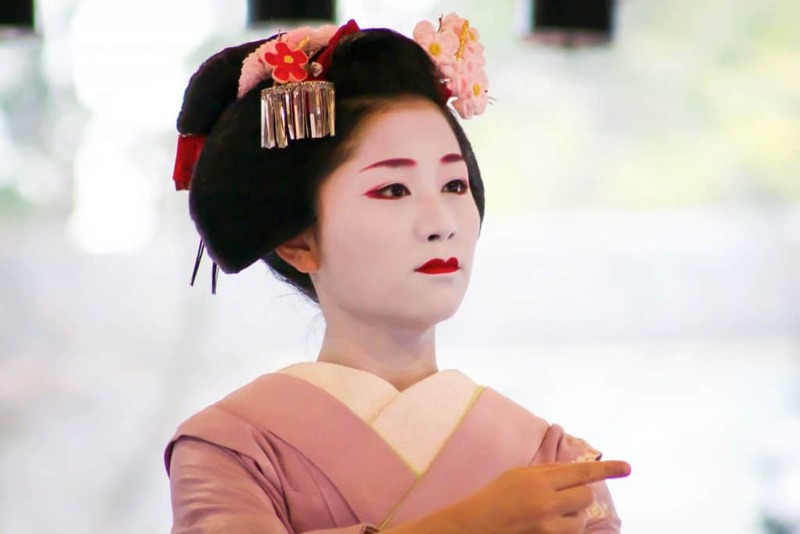 Kyoto was the capital of Japan from the 794-1868, and history is present throughout the city. Although this city has repeatedly been destroyed during times of war, except WWII, it remains one of the most beautiful cities in the world. There are over 2000 temples and shrines in the city, including the Instafamous Fushimi Inari-Taisha. Besides the temple, 20% of Japan’s National Treasures are in the city and there are 17 locations that are UNESCO World Heritage Sites. It’s widely considered one of the most culturally significant cities in the world. I spent five days in Kyoto last time but I think you could spend two years doing something every day and still not uncover half of it. 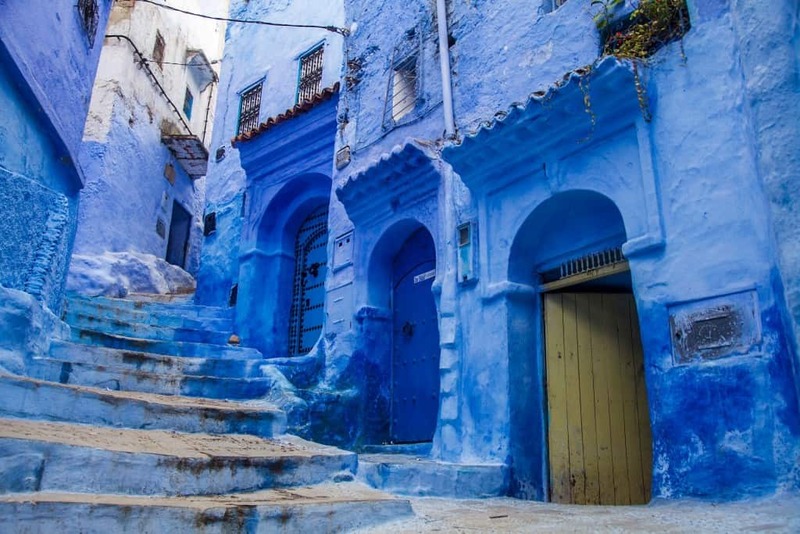 In northwest Morocco, situated in the beautiful Rif Mountains, is Chefchaouen. “Chaouen” as locals call it, is a small city that is renowned for its entrancing streets of blue. Besides the blue streets, Chefchauoen is a popular tourist destination for its hashish, grown prolifically all over the region. We went to Morocco’s blue city to get away from the hustle and bustle of the bigger cities in Morocco. We had seen the photos online detailing all the shades of blue, and just knew we had to get to this Moroccan town. It really is as amazing as it looks on the internet! Most people wander around and take photos in the town, but there is also some good hiking through the Rif Mountains. We arrived with plans for two days and spent a week wandering around, hiking in the mountains, and eating delicious Morrocan food. On our last night, we had a wild mushroom tagine foraged from the surrounding countryside that was sublime. Most are familiar with Zermatt whether we’ve heard of the tiny village or not. Switzerland’s iconic Matterhorn mountain peak rises up over the village and its image has been featured in Ricola commercials and slapped on every Toblerone chocolate bar for years. There is probably no mountain on earth with a more picturesque peak. To see the mountain in person was on our bucket list and it had been ever since our first Toblerone as children. With that in mind, it was an easy decision to add Zermatt to the list of destinations in Switzerland on our European ski tour. Our arrival in the Swiss village was late in the evening, so when we opened our hotel room window and looked up to see the sun setting on the mountain peak it took our breath away. In spite of traveling so much of the world, there are those moments that still make us go “whoa!” What made it all better is that we would spend the next three days snowboarding on the mountain base. 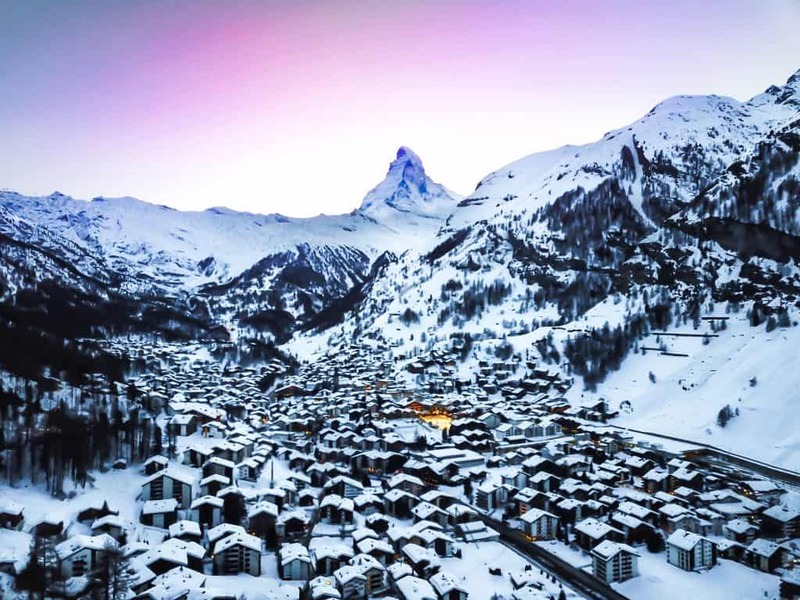 Along with being a picturesque mountain village, Zermatt is known to have one of the best ski resorts in the world. You can easily spend your days there enjoying the mountain and then heading down to town for a night of posh shopping and expensive food. The city of Amsterdam needs no introduction. It is known as the Venice of the North because of its hundreds of canals. Amsterdam is nothing short of impressive and a must see while in Europe. Whether you’re into history, architecture, partying, food, shopping, art, or cafes there is something here for everyone. A summer day in Amsterdam is near impossible to top in any other city. Our favorite thing to do in Amsterdam is to simply sit canal side in a quiet neighborhood, like Jordaan and enjoy a cold Amstel. Or you could do even better with a boat cruise. 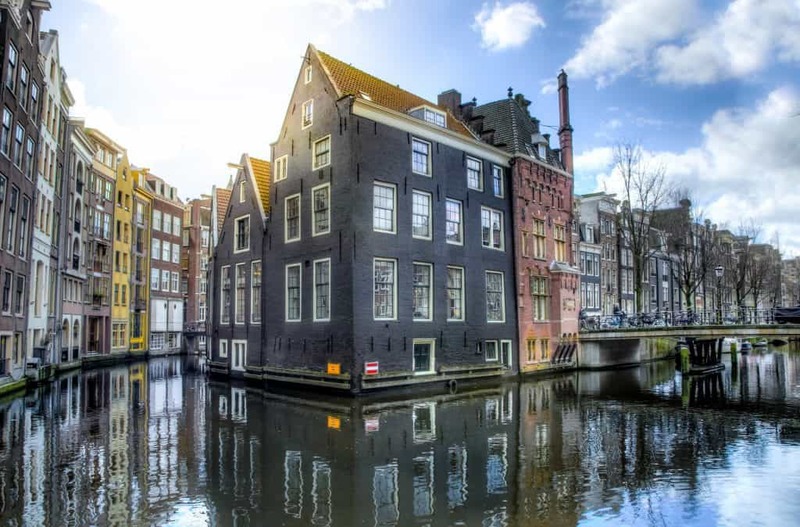 If you’re looking for traditional sights check out the Anne Frank House, Rijksmuseum, and Van Gogh Museum. 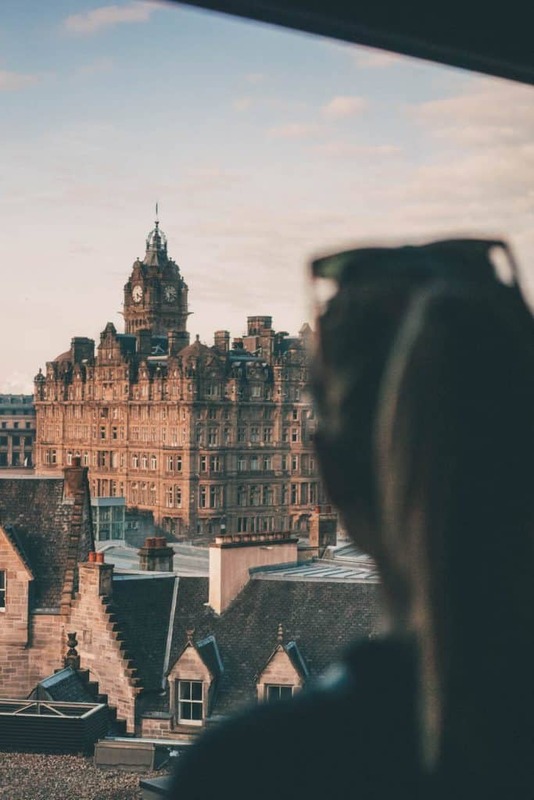 It’s tough to argue with the appeal of Edinburgh as it’s one of the most stunning cities in all of Europe and packed with a long dark history. It’s an interesting mix with a city center split in two between the jumble of medieval buildings in old town and the perfectly lined Georgian buildings of New Town. The city in many ways is a mess, but a beautiful one at that! It’s brimming with class, tourist sites, and character and I assure you there is no shortage of things to do in Edinburgh. The city contains many contrasts and offers everything from world-class art festivals to fine dining, rowdy pubs, designer shops, comedy clubs, luxury hotels, and hip coffee shops. It’s almost impossible for any visitor to have the same experience or opinion of Edinburgh. We tried our best to enjoy a bit of it all, but like all visitors, we’ll definitely have to return someday with more time. Love or hate Venice there is no denying its popularity. It is the most beautiful historic city on the planet, but it is also besieged by tourists. The sinking city is a network of 118 islands connected by bridges. Buildings here are old and if you manage to get away from the crowds it feels as if you’ve stepped back five centuries in time. After several separate visits, we have decided that we still absolutely we love Venice. In our opinion, Venice is best in the shoulder and offseasons. 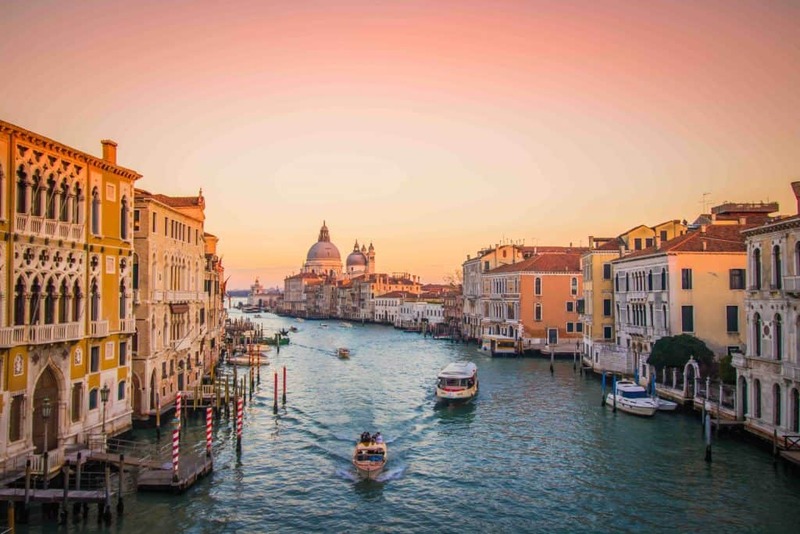 The canals of Venice are notorious for harboring a lot of waste and in the summer the smell can get pretty bad; however, in the cooler months there are fewer tourists, less waste, and the smell is at bay. If you were to ask us Venice is one of the most beautiful cities in the world, except in the summer months. Check out more things to do in Venice. Queenstown is an amazing city/town in New Zealand’s South Island. It’s one of the most visited spots in the country and one of the main places everyone seeks to live in. The town sits on Lake Wakatipu and is surrounded by the Southern Alps. 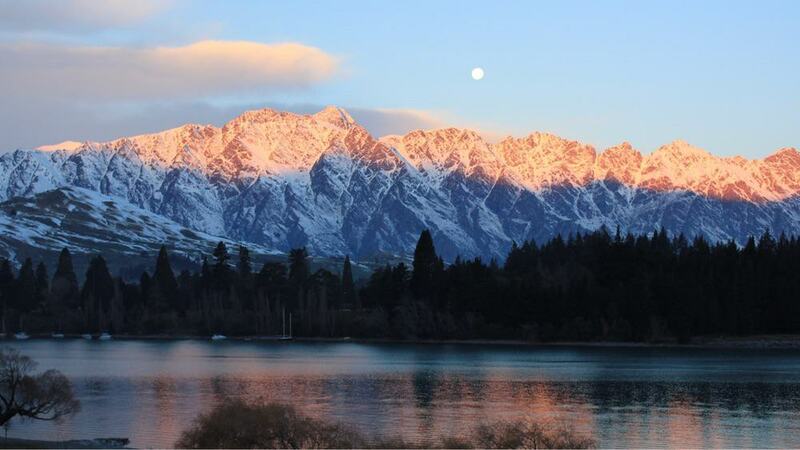 If you are lucky enough to score yourself a lakeside Airbnb rental you’ll have uninterrupted views of ” The Remarkables,” the mountain range around the lake. Queenstown is dubbed the adventure capital of the southern hemisphere, and is where you will find a wide range of travelers getting an adrenaline high. Bungee jumping, paragliding, and canyoneering are all common things to do in Queenstown. The city also serves as a jumping off point to the Milford Sound and Lake Wanaka. Have you logged onto Instagram lately? 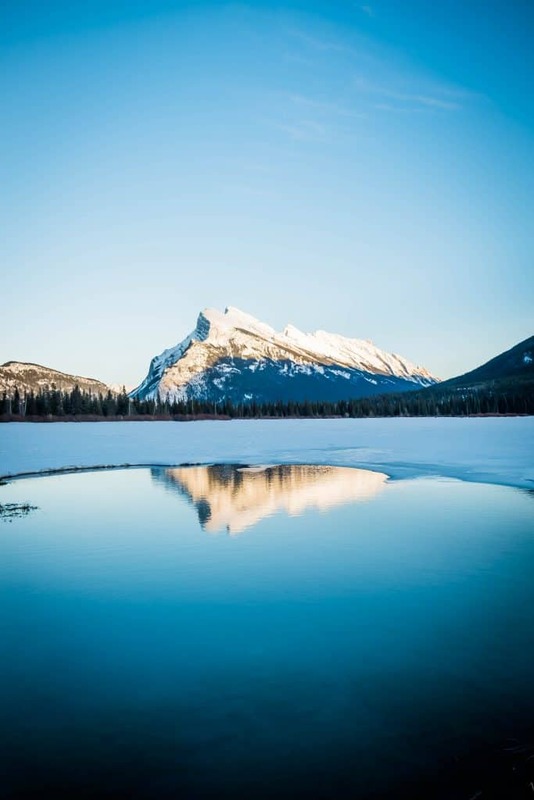 In case you missed it Banff, Alberta has been the hot place to go for the past few years. Imagine vast mountains, beautiful blue lakes, and a charming Canadian small town. If it sounds like the perfect place to spend Summer, Fall, Winter, and Spring that’s because it is! Banff is also surrounded by Mt. Norquay, Banff /Lake Louise, and Banff Sunshine to form SkiBig3. In the winter this whole area turns into a skier or snowboarders version of heaven. We spent a few weeks here mountain hopping last year and have since considered relocating to Alberta permanently. Seriously, it’s that good and is definitely one of the most beautiful cities in the world. 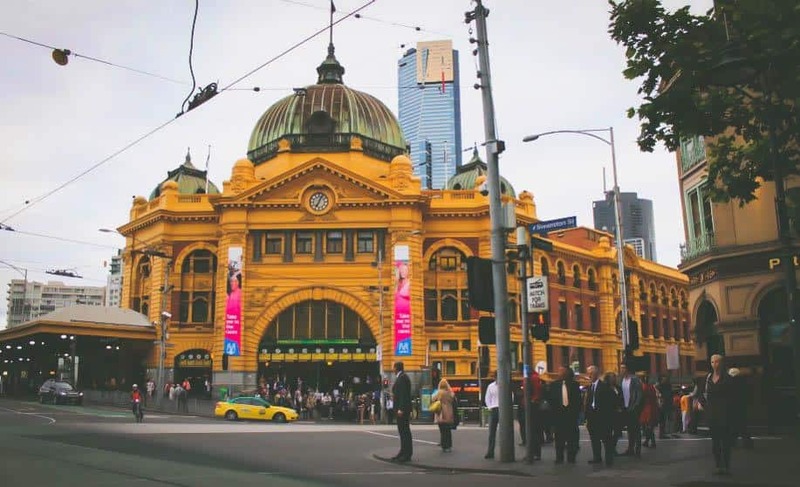 Melbourne is one of the most exciting cities to visit in Australia. The buzzing city has nightlife, a great food scene, festivals galore, and outdoor activities. It is tough to hate on the city and brings people in from all over the world. I will never regret booking a spontaneous flight to Melbourne years ago just to go to the prestigious Melbourne Cup. People often make their way straight to Sydney to see the Opera House on their trip to Australia, but in my opinion, Melbourne is the better option as it has less of that big city feel. Turkey’s most popular city is one of the most amazing in the world and definitely one of the most beautiful cities in Europe. Istanbul bridges Europe and Asia, and the city crams in both cultures for everyone to experience. 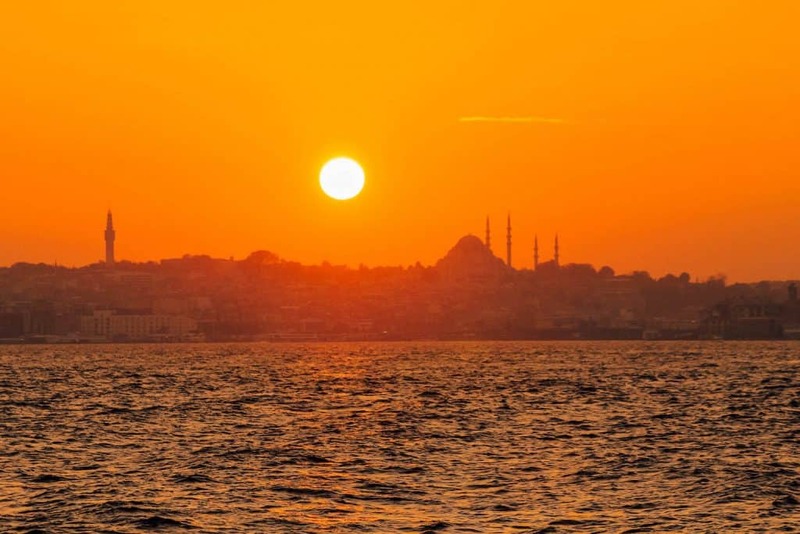 You can actually take a ferry along the Bosphorus and literally take a photo between two continents – where else in the world can you do that? It has long served as the crossroads between the two continents and thus has an amazing amount of history, architecture, and culture. Istanbul is a massive city and even with two trips back here, we have yet to even scratch the surface of what Istanbul has to offer. It’s the perfect place to stroll along the Bosphorus and enjoy the old buildings and beautiful mosques nearby. On the ground, gritty New York may not be the most beautiful and there is no doubt plenty of ugly spots. Take a few rides on the New York subway and you’ll see plenty of the ugly. However, there is no skyline in the world more iconic than New York with its architectural feats, bridges, and Central Park. 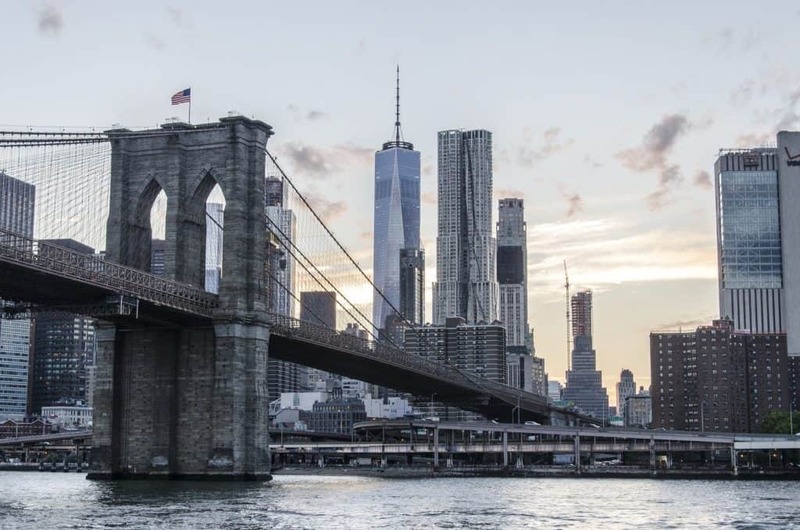 It’s next to impossible to not be amazed by the Brooklyn Bridge, Empire State Building, Flatiron Building, Grand Central Station, One World Trade Center, New York Public Library, Chrysler Building, and the Statue of Liberty — the list could go on. New York’s restaurants, bars, street food, museums, concert venues, art galleries, and neighborhoods are all world class. There is no shortage of things to do in the city that never sleeps. It’s a city that assaults your senses and paints a vibrant tapestry before your eyes. To list all of New York’s accomplishments would be next to impossible and it’s likely the most culturally significant city in the world. Spend some time in the city and will test you and any true New Yorker will have cursed the ground beneath their feet. New York is like nowhere else on earth. There is no denying the charm of Stockholm on a beautiful summer day. Under the Midnight Sun the city dubbed “Venice of the north” contains a slew of cafes and bars that brim with patrons indulging in the “Fika” cafe culture. Venturing around the cities many islands and parks break down your typical notions of a city. Stockholm is refreshing and blurs the lines between modern, historic, natural, and city. Travel Insurance: You never know what can happen abroad, and that’s why we always travel with travel insurance with World Nomads. Their plans are flexible and affordable. Plan to Rent a Car: Often we will take public transport, but sometimes it just makes sense to rent a car. Compare prices here! Water: In many of these cities the tap water is fine to drink, but if you want extra assurance then we love traveling with our Lifestraw Go Waterbottle. More than anything it’s about reducing plastic waste. Read more about that in our best water bottles post. Adapter: Before you leave for an international trip make sure you have a universal travel adaptor. You don’t want to land in a new country and have to then scrounge for a way to charge your devices.